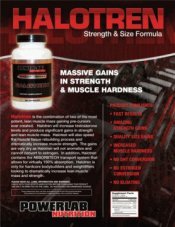 Hey Muscle-4Life-Nutrition.com readers! Eddie Cervantes here, I am excited to bring to you a fellow personal trainer who has experience in many facets of fitness and owns a personal fitness training facility. Not only that but we get to meet his lovely partner in crime Gena Mahilom. EC: Hello Kennith, tell us a little about yourself and how you got started in the fitness world and bodybuilding? Kennith: Hi My Name is Kennith G. Ferron, originally from Long Beach, California. I currently reside in Kalispell, Montana for the past 35 years. I am a ISSA Certified Fitness Trainer, Personal Trainer, Fitness Coach, Sports Nutrition, Strength Coach as well as a License Insurance Agent and Financial Advisor. Being in sports all my life I used bodybuilding and powerlifting to cross train to be my best at every sport that I do. What we promote is proper training and healthy eating for the longevity and the quality of life. Our goal is to provide motivation and inspiration for those who are willing to have a more fit and healthy life style. EC: Like I said Ken, you have a lot of experiance. 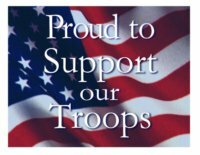 ISSA is a great organization. Where do you reside and train at? 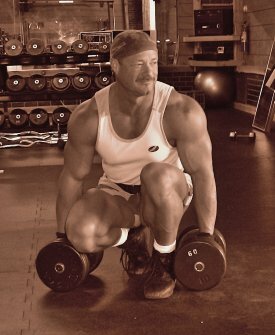 Kennith: I am the owner of EdgeFitness and have a 2400 square foot private training facility in Kalispell, Montana. It is there that my partner, Gena Mahilom and I do a one on one personal training and fitness therapy with clients. Kennith: The last show that I competed in was the Bill Pearl National Qualifier in 2002, which I took first and overall. I was a golden glove boxer, mui tai where I learned the kicking skills that lead me to kickboxing, as well as racquet ball, competitive water slalom ski, competitive trick skiing, and jump skiing. I played softball and triple A softball. 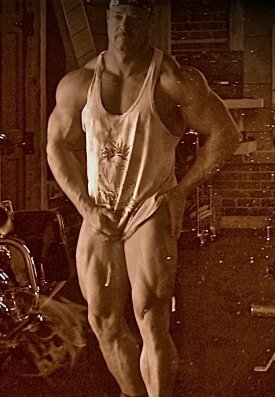 My all time passion has been bodybuilding and powerlifting. EC: That is awesome! What has been your stepping stone to get where you are today? Kennith: I have stayed fit and healthy, because of the dedication and the consistency through nutrition and proper training which has enabled me to keep (extreme) snowmobiling, four wheeling, surfing, and living my life to the fullest each and everyday! EC: That is the key word "consistency" Do you have a trainer or contest coach or do you do it on your own? Kennith: I don't have a trainer. My training partner, Gena and I train together consistently to motivate, inspire, and push each other to be our very best in all that we do. Kennith: In My 23 years of bodybuilding, powerlifting and cross training for various sports, my base was built on powerlifting movements, my symmetry was built through bodybuilding and my speed and coordination and agility was built through cross training. My training is instinctive, because my activities change for each season so my training regiment changes as well. EC: 23 years in fitness is commendable. What does your current training workout look like? Kennith: Even tho my partner is a 115lbs, and 5'3 and I am about 218 lbs., at 5'8. We train the same way, but use different size weights of coarse. Friday: 45 minute workout-BACK: Pulldowns, various types of rows, dead-lifts, and abs. We warm up with 8-10 reps. Our work set stay in the 6 rep range. *We do not do cardio, as our workouts are heavy and intense, which will burn fat up to 8-10 ours after training. The exercises that we do are the most effective for burning fat and building muscle. EC: So true heavy resistance training will seriously burn body fat. Is this training routine something that our readers who want to start working out can use or is this something that is more suited for an advanced athlete? Kennith: This is the same program we would recommend to anyone. It has the foundation movements and symmetry building movements. Coming from a physical and fitness therapy back ground most exercises in the gym are carried over movements from rehab, never were they intended to build muscle or go heavy with. The purpose is for range of motion is to get people back to pre-injury condition. Proper choice of exercises and execution is more important than doing a bunch of random exercises. Kennith: Our philosophy on nutrition is always eat as many whole foods as possible and supplement when needed. We don't believe in changing our diet to sacrifice our health for non nutritional foods therefore we have no off season and we look like this year round. I personally will commit to eating more when getting ready for a show/photo shoot. EC: What was the hardest thing you had to deal with when it came to your diet? Kennith: The hardiest thing for me is to stop all other activities & eat more so the muscles fill up to get that extra hard look & feel I have been doing it so long it is easy and I will add about 5 pounds getting ready for a show. 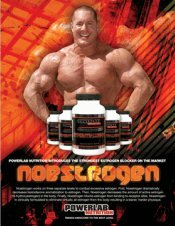 However you must have the muscle mass to do that and know how to train and eat for your body. Kennith: Meal replacements shakes and bars for connivance, adding extra calories to my daily needs like if I go snowmobiling I well need an extra 1000 calories so the bars work real good for that. Creatine and vitamin c w/ minerals and carb drinks I use on a daily basis. I need to consume 4500 to 5000 calories on a normal day and have to up it by 1000 when I bring extra activity in to the day . Gena: Supplements are very important in my diet and Of coarse mine is a tad bit different from Kennith's diet thank goodness or I wouldn't look the way I do now! I consume about 1200-1400 calories or so on a daily basis. I have six meals a day and three of them are my meal replacements for convenience. I supplement with vitamin C with minerals. 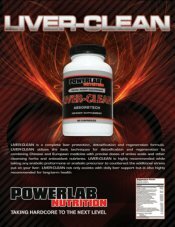 EC: What supplements do you feel are essential when preparing for a bodybuilding competition? Kennith: Everybody individual needs are different so depending on your eating habits, your work schedule, and your personal nutritional needs. So people will need supplements to boost their metabolism, and some will need to suppress it while others will need to add more protein to their diet. Do the best to eat well and supplement as needed. Kennith: The advice we would give is to start by getting an food allergy test done, that way you'll know what foods you can eliminate in your diet even if you thought they were good for you, which could be affecting your pituitary and thyroid which slows your metabolism down. You could also check with your doctor to make sure that your hormones are balanced. EC: Great advice! Where and when is your next competition? Kennith: I workout not to compete but for the quality of life so that I can enjoy all the various sports that I compete in. However, my last show that i competed in 2002 was the "Bill Pearl Classic, National Qualifier", which I took first and overall. At 5'8, I competed at 190 lbs at the age of 40. Now at the age of 48 I have progressed 3.5lbs a year, current weight at a ripped 218 lbs. Through proper training and nutrition this is the everyday look! When and if I decide to compete I thought about going to nationals when I'm 50, which then my goal weight would be 225lbs. Knowing that I would have to give up my summer time sports to compete in July for nationals to eat more not less doesn't really enthuse me much! Gena: I am inspired by the women and men that compete, but I have never competed yet! We've talked about competing but, for right now I'm enjoying our workouts 5 days a week sculpturing our bodies for symmetry and the everyday look. That is what is exciting to me is inspiring other people to want to take care of themselves not just to do a fitness show but for the longevity of feeling healthy and looking healthy. Gena: The person that has helped me change my life is my training partner Kennith, He has been an inspiration to me, a mentor, and a best friend. He has shown me how to correct my imbalances through specific training techniques and form. He's helped me with my varicose veins and inflammation in my legs that I've had for many years and never wore shorts because of it, that is until I started training with Ken. I have found a balance in my life which has made me more confident, happier and ready to take on anything that comes my way. Thanks Ken for what you given to me and that is a new beginning. EC: That's what I am talking about Ken, Great job! Who has been the most memorable person you have enjoyed working with? Kennith: There's not one particular person that comes to mind, because each person brings a different challenge in what goals they have whether it be loosing weight, rehab, or just general fitness or wanting to put on muscle mass. Kennith: We would like to give a shout out to all the people who deprive themselves of carbs. Carbs don't make you FAT Calories do! EC: "HAHAH"" What are your big plans for the future? Kennith: We are in the process of publishing an on line E MAG, called EDGEFITNESS Training for the quality of life. This magazine will have informative information about HEALTH / NUTRITION/ Inspirational Stories & TRAINING VIDEOS that will keep you wanting more. From all walks of life from the youngest to the oldest, we will provide you with informative information that you have questions about or want more research on. We will teach you how to train correctly & effectively so you get more out off your training in less time. 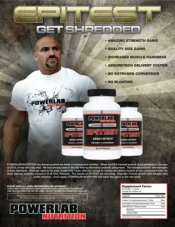 We will have web links like Muscle-4Life-Nutrition.com specializing in performance supplements that will enhance your performance, as well as FOOD ALLERGY TESTING so you can find out what foods could be holding you back from reaching your goals, as well as the good ones that could be holding you back. Kennith: Be realistic and patient with what your goals are so that your weight loss and weight gains will be more rewarding at the end. Since I've been body building in the last 23 years I have gained 4 lbs a year, which is 92 lbs of lean muscle mass. Now at the age of 48 I weigh 218 lbs. ready to step on the stage at anytime. 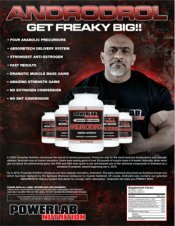 Thank you Muscle-4Life-Nutrition.com for all your great products that you provide for us and our clients. We find that your site is easy to use with great service and prices. We appreciate all the inspirational stories that have helped others to attain their fitness and health goals. We want to thank you for the opportunity to be in your featured athlete section, and to be able to bring a different point of view to your clients. If there is anything we can do to help out please let us know. 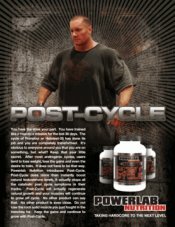 EC: Thank you Kennith and Gena for your time and for sharing all your invaluable fitness wisdom with our Muscle-4Life-Nutrition.com readers. Good luck in the future, We will be looking out for your E-Magazine "EDGEFITNESS"